John Nack, Adobe’s principal product manager, has taken to his usual forum on the Adobe blogs to share a new HTML5 gallery recently debuted by developer Felix Turner. Turner is known for his PostcardViewer and other Photoshop-compatible image gallery applications that inspired Adobe to include Flash support in Photoshop’s built-in Photo Gallery. 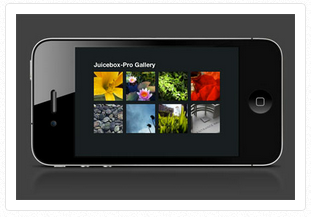 Turner’s new HTML5 gallery, called “Juicebox“, also works through Photoshop and Lightroom plug-ins (or through the company’s own app), and it has impressive options for iOS galleries. Late last month, Adobe launched its CS6 suite of 14 apps alongside its Creative Cloud service.